Unwanted hair on your face or elsewhere can make you feel unattractive and self-conscious. 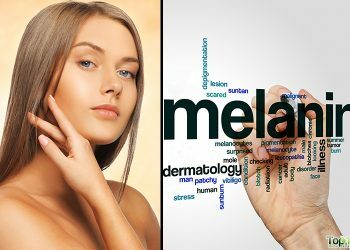 While there are several hair removal techniques such as plucking, shaving, bleaching, waxing, and laser removal, each of them comes with its own set of side effects in the form of rashes, irritation, razor burns, and shaving bumps. Also, the maintenance cost and the upkeep associated with these strategies are an added headache, and the results begin to wane with time. 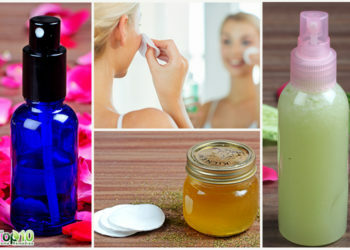 Thus, to save yourself from all that trouble, here are two easy yet effective homemade hair removal beauty masks that offer the dual advantage of getting rid of that facial fuzz and making your skin look fabulously flawless. These ingenious recipes tap into the skin rejuvenating prowess of two kitchen staples that are readily available in every Indian market or grocery store: chickpea flour, or ubtan, and red lentils. Once the mask sets after application, use damp hands to gently scrub it off with circular massaging motions, opposing the direction of the hair growth. This is the best way to help these natural exfoliants work their magic. 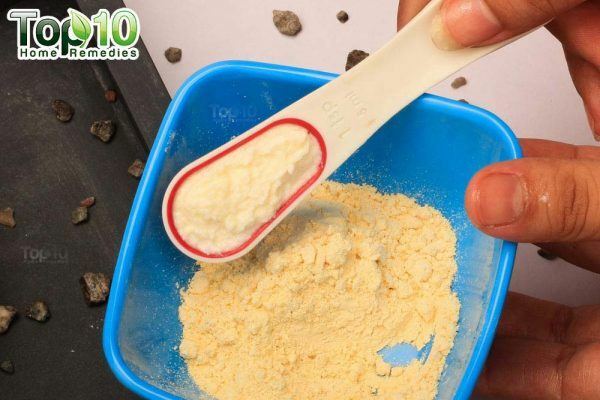 The paste will adhere to the hair, and subsequently, the scrubbing action will help pull out the hair from the root. 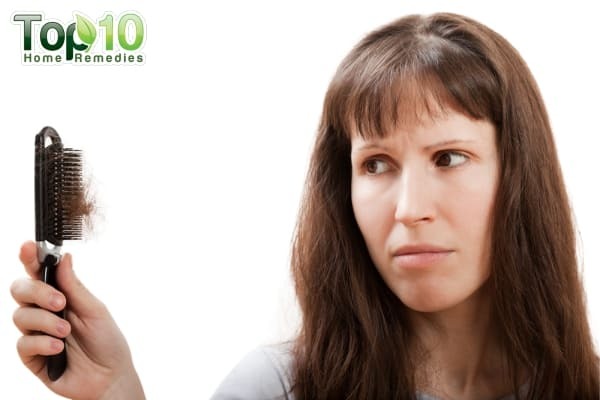 When the hair is uprooted, the hair follicle weakens, which then produces finer, thinner hair. If done enough times, the follicle can be killed completely, leading to permanent hair removal. 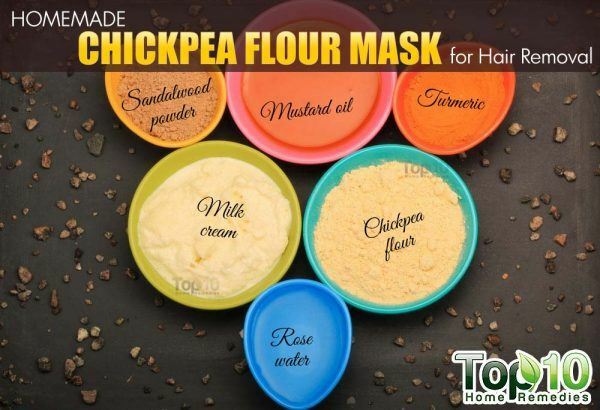 The chickpea flour recipe is particularly good for acne-prone skin, as it helps absorb the excess oil from the skin and removes the impurities stuck deep within the pores. 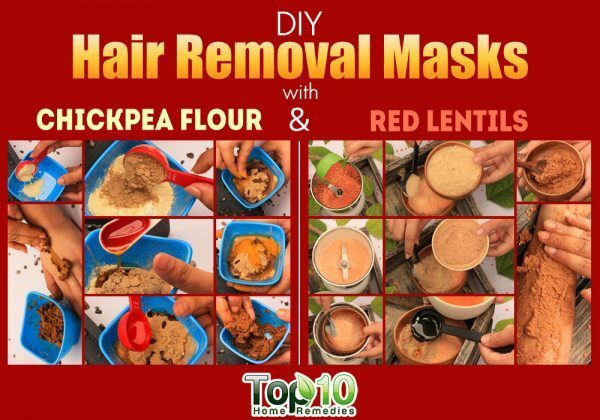 The red lentil hair removal beauty mask,(1) on the other hand, may aid in reducing the appearance of a tan and can also help fade dark spots and blemishes. The skin-enhancing effect of this mask can be attributed to the nonabrasive exfoliation rendered by the granular red lentil powder, which helps with the shedding of dead skin cells, unveiling brand new layers of luminous skin. 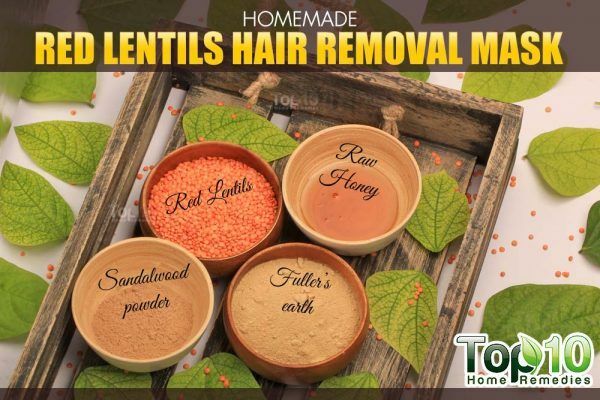 (2) Furthermore, red lentils are also prized for their skin-lightening properties. 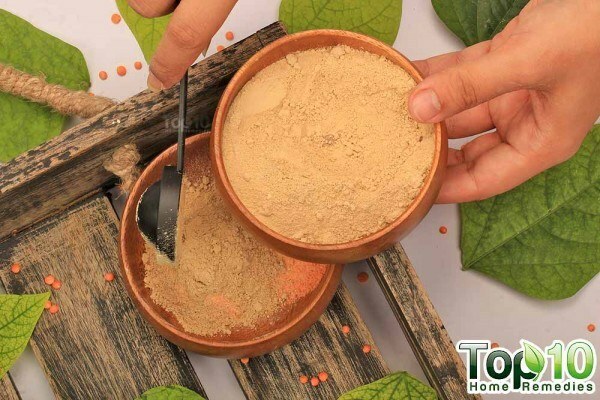 You can further supercharge the skin-healing properties of these masks by supplementing them with ingredients like sandalwood powder,(3) fuller’s earth (also called Multani Mitti), rose water,(4) turmeric,(5) and milk cream, all of which contribute to the good-looking skin. 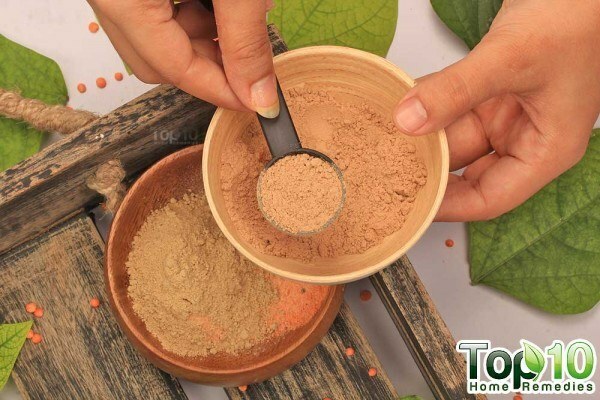 Sandalwood powder is an antibacterial powder that helps fight acne. Fuller’s earth is antibacterial and anti-inflammatory as is turmeric. 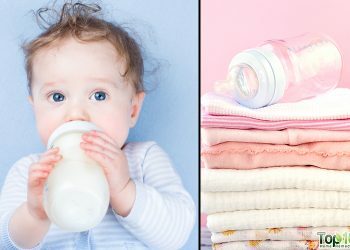 Similarly, rose water and milk cream offer the dermatological advantage of soothing and moisturizing the skin. Exfoliating masks should not be used more than two times per week, as over exfoliation can prove to be abrasive and cause long-standing skin damage. Also, it is important to manage your expectations when trying out these remedies. The natural potency of these wonder ingredients takes some time to engender the desired effect and cannot be expected to restore your skin overnight. Expect slow but steady improvement within a few months. 1. 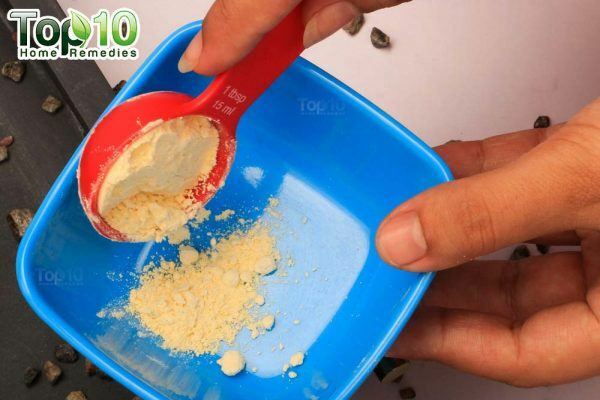 Put 2 tablespoons of chickpea flour in a bowl. 2. Add 1 tablespoon of fresh milk cream. 3. 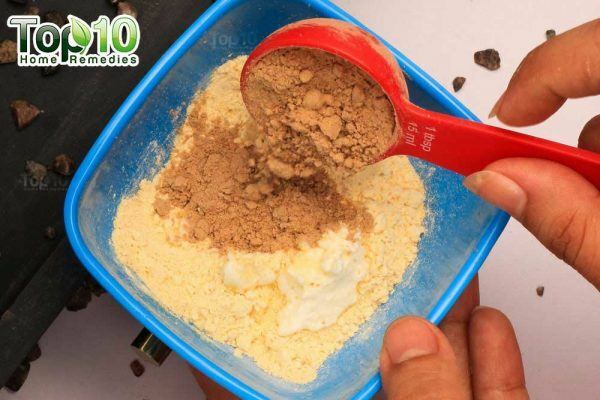 Add 2 tablespoons of sandalwood powder. 4. Add 1 tablespoon of mustard oil. 5. Add 1 tablespoon of rose water. 6. Add a little turmeric powder. 7. Mix these ingredients well to make a paste. 1. 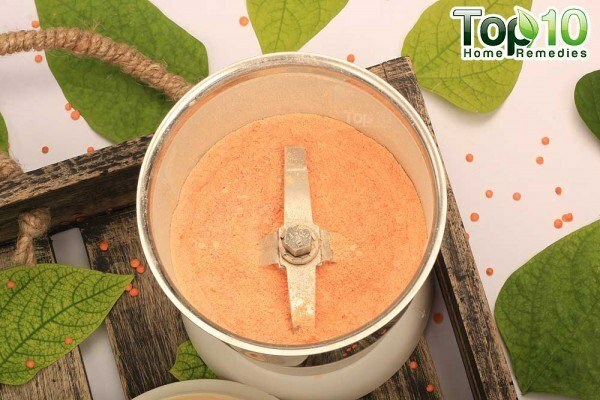 Grind ½ cup of red lentils in a grinder until you have a fine powder. 2. Put 2 tablespoons of the powdered red lentils in a bowl. 3. 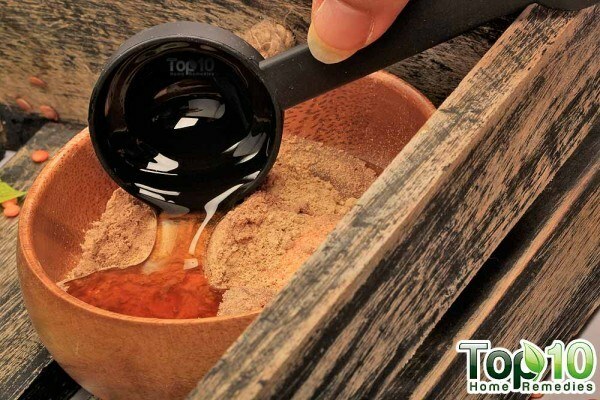 Add 1 tablespoon of fuller’s earth. 4. 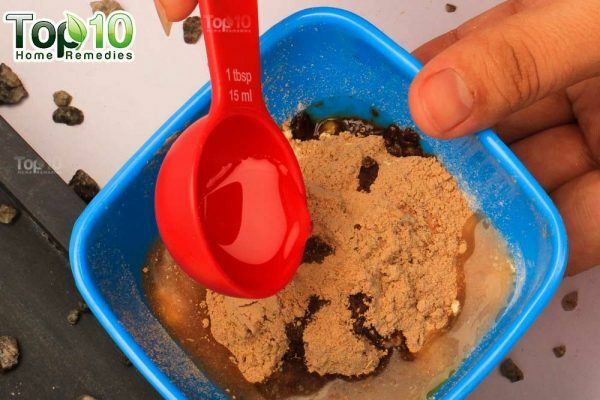 Add 1 teaspoon of sandalwood powder. 5. Add 2 tablespoons of raw honey. 6. 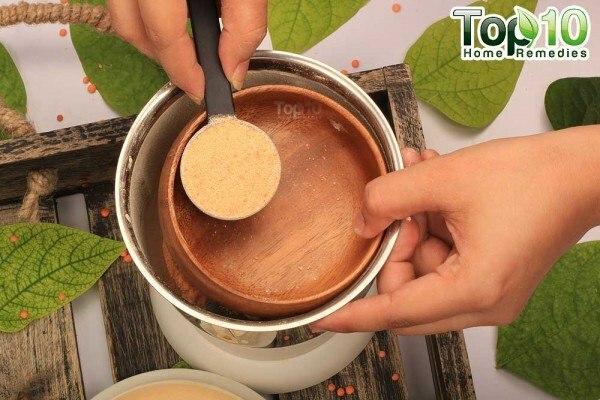 Mix these ingredients well to form a paste. 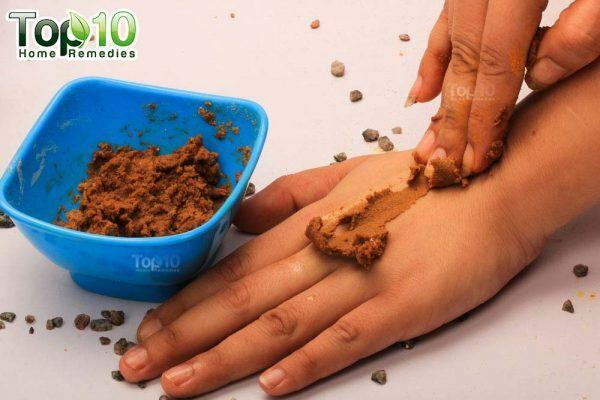 Here are the two beauty mask recipes to help you get rid of unwanted hair from your body. Spread either of these pastes on your skin where there is unwanted hair growth. Let it sit for 20 minutes or more until it dries. While scrubbing it off, rub it against the direction of your hair growth. Rinse your skin with cool water. Do not use either of these masks more than twice a week. 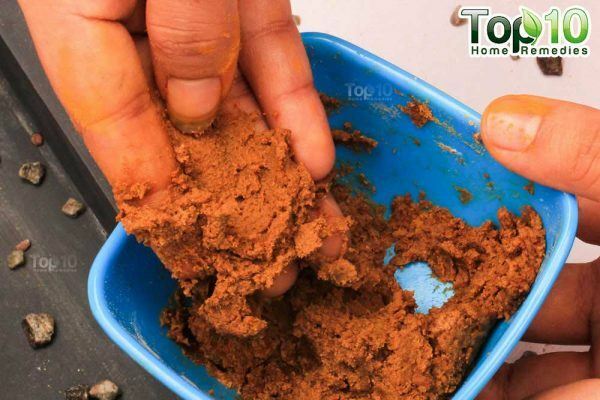 You may have to grind and sieve red lentils a few times to get a fine powder. 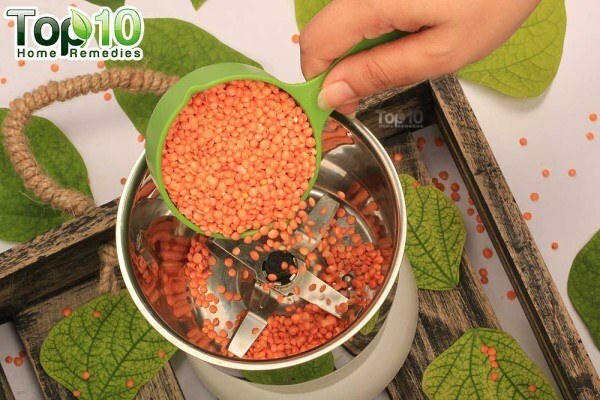 If you want the mixture to be less coarse, soak the lentils in water for a few hours before grinding them. 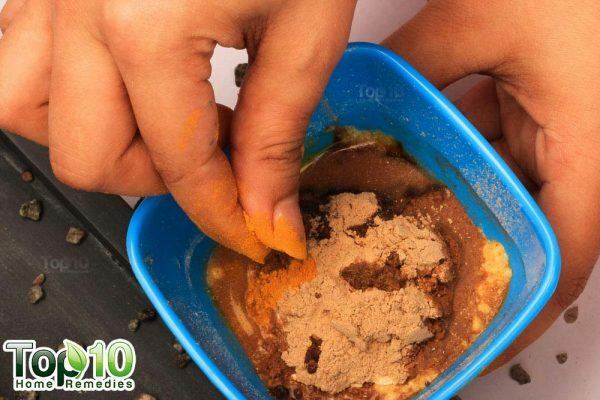 Store the remaining powdered red lentils in an airtight container. When scrubbing off the mask, you can moisten your hands with olive oil, milk, or water to make the process of scrubbing gentler on your skin. 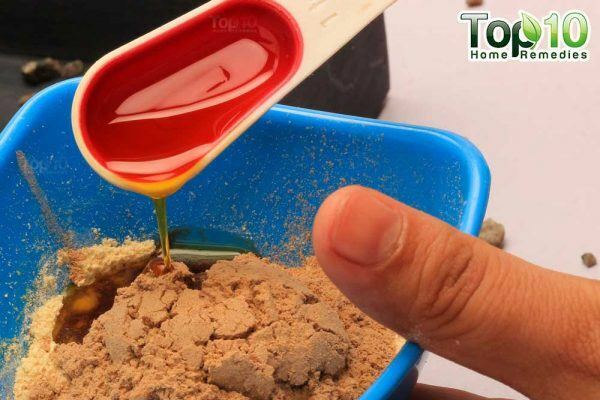 If you want instant results, use a homemade sugar wax prepared by heating a mixture of 2 teaspoons of sugar and 1 teaspoon each of honey and water. 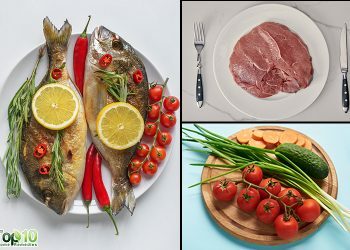 You can find this recipe in detail in this post. Patkar KB. 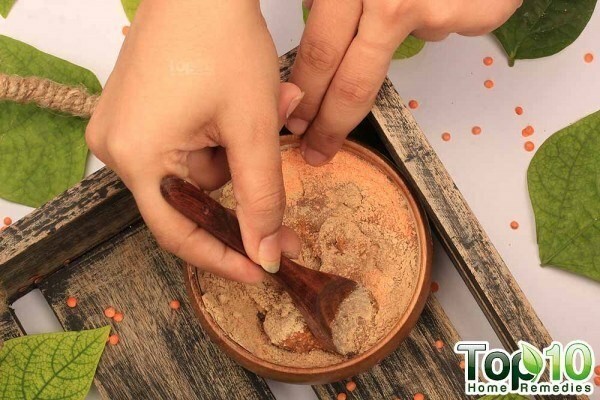 Herbal cosmetics in ancient India. Indian Journal of Plastic Surgery. https://www.ncbi.nlm.nih.gov/pmc/articles/PMC2825132/. Published October 8, 2008. 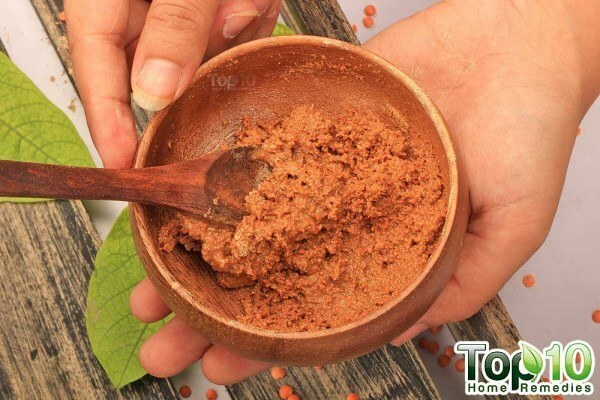 Packianathan N, Kandasamy R. Skin Care with Herbal Exfoliants. Research Gate. https://www.researchgate.net/publication/224892687_Skin_Care_with_Herbal_Exfoliants. Published April 2011. Boskabady MH, Shafei MN. Pharmacological Effects of Rosa Damascena. Iranian Journal of Basic Medical Sciences. https://www.ncbi.nlm.nih.gov/pmc/articles/PMC3586833/. Published 2011. Vaughn AR, Branum A, Sivamani RK. 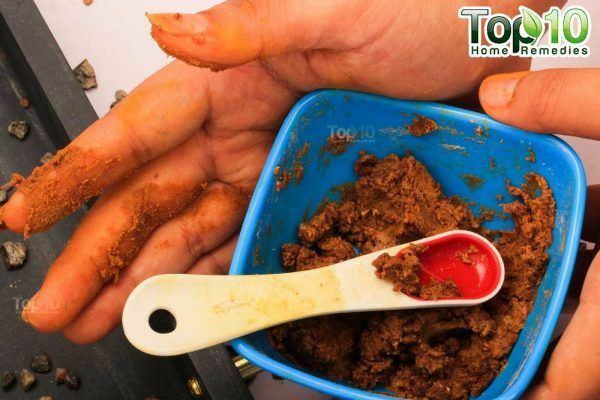 Effects of Turmeric (Curcuma longa) on Skin Health: A Systematic Review of the Clinical Evidence. Phytotherapy research: PTR. https://www.ncbi.nlm.nih.gov/pubmed/27213821. Published August 2016. Can I use this for my 3yrs daughter.. as she has too much hair on her whole body..